Accumulation and 18O records for ice cores from Quelccaya ice cap. 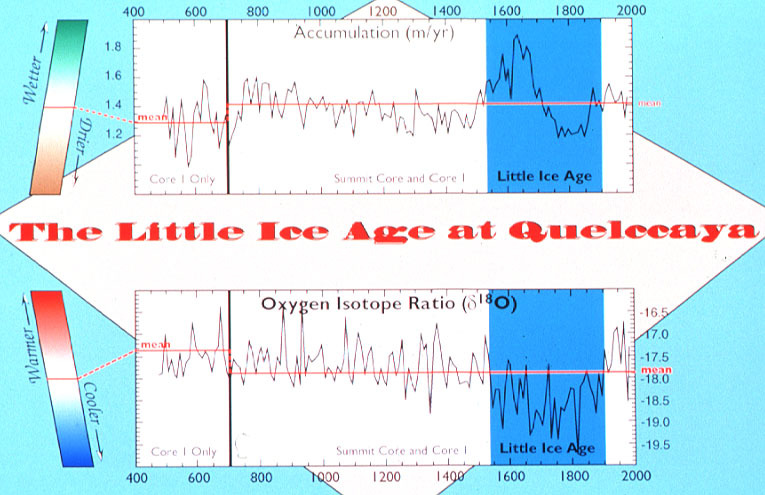 The period of the Little Ice Age stands out clearly as an interval of colder temperature (lower 18O) and higher accumulation. Such evidence demonstrates the Little Ice Age was a climatic episode of global significance. From World Data Center for Paleoclimatology (educational slide set).